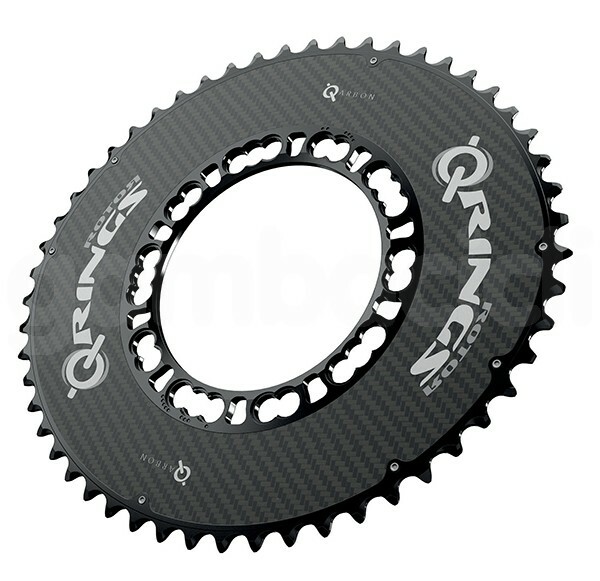 The ROTOR Qarbon Q-Ring provides the benefits of Q-Ring performance and pedaling efficiency along with the look, low weight and high strength of carbon fiber. With the Qarbon Q-Ring, ROTOR has achieved an 8% weight reduction and a 20% increase in stiffness. In addition, the Qarbon Q-Ring offers increased aerodynamics due to its solid ring design. The Qarbon Q-Ring is sure to set your bike apart from the pack with its sleek, pro level carbon look.